Info: A waterfall of flowers! 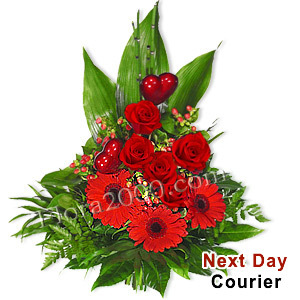 Ruby-red roses and gerberas tumble over a wall of brilliant emerald-greens to give the illusion of a secret waterfall. This bouquet comes with 1 packet of flower nutrients and nursing instructions.